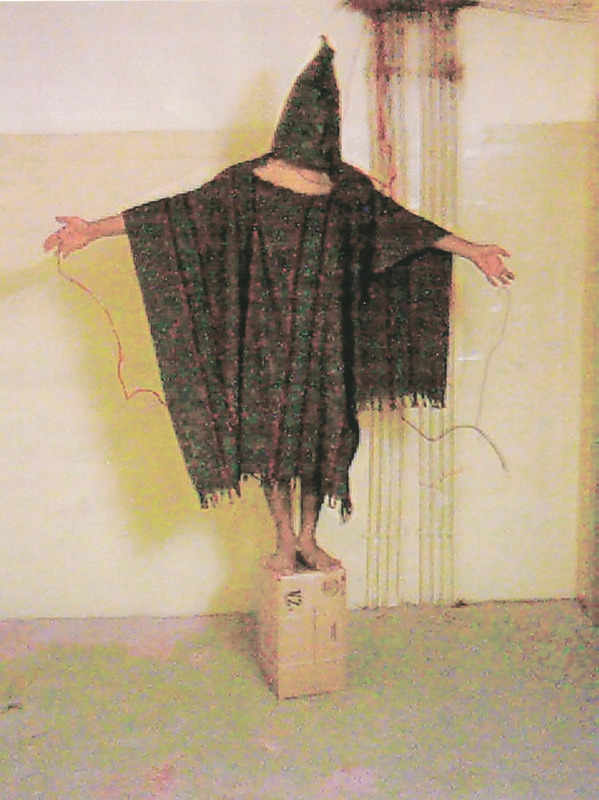 With the release of the so-called “Torture Report” yesterday, I’ve been casting back to the Abu Ghraib prison scandal. After the invasion of Iraq, from late 2003 to 2004, U.S. military police of the Army and Central Intelligence Agency committed a series of outrageous abuses of Iraqi detainees at the notorious Abu Ghraib prison, abuses that had been tried and exported from Guantanamo Bay prison and secret "black sites" around the world. Because of extensive photo and video documentation of the abuse by military police themselves, the scandal became an international embarrassment that led W.J.T. Mitchell to declare it, not without hyperbole, the moment that the U.S. lost the war in Iraq. Sand Opera began out of the vertigo of feeling unheard as an Arab American, in the decade after the terrorist attacks of 2001. After 9/11, Americans turned an ear to the voices of Arabs and Muslims, though often it has been a fearful or selective listening. Even Errol Morris chose to interview only Americans for his Abu Ghraib film, “Standard Operating Procedure.” One centerpiece to Sand Opera is the “abu ghraib arias." It is a dialogue between Standard Operation Procedure for Camp Delta in Guantanamo Bay, the soldiers who served in Abu Ghraib, and the Abu Ghraib prisoners. I draw upon a number of sources: a Standard Operating Procedure manual for Camp Echo at the Guantanamo Bay prison camp (thanks to WikiLeaks); the testimony of Abu Ghraib torture victims found in Mark Danner’s Torture and Truth: America and the War on Terror; the words of U.S. soldiers and contractors as found in Philip Gourevitch and Errol Morris’s The Ballad of Abu Ghraib; the official reports on the Abu Ghraib prison scandal (the Taguba Report, the Schlesinger Report, etc. ); interviews with Joe Darby and Eric Fair (two whistle-blowers); the Bible; and the Code of Hammurabi. The following audio performance of the arias involved the piano work of Philip Fournier, and the voices of Danny Caine, Jackie Orchard, Paige Webb, and me (Philip Metres), and was engineered by Mike MacDonald.